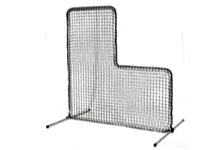 Baseball Pitcher's L-Screens: Protect your pitcher or machine from line-drives. 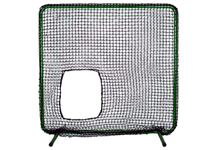 The l-screen shape is designed to accommodate an overhand baseball pitch. 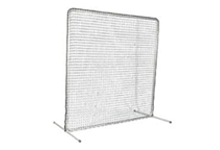 Softball Pitcher's Screens: Pitchers screen designed specifically for softball use to accommodate an underhand softball pitch. 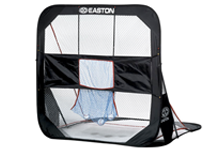 Soft-Toss Sock-Net Screen: Refine your hand-eye coordination & stroke with an excellent application for soft-toss drills. Fielding Screens: These large screens offer a variety of uses. 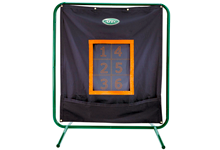 xWe offer a 1-piece welded screen which is the heaviest in the industry. Our slip-fit screens are above-average for durability, and the push-pin screens are average in durability. Why do your screens use round tubing & not square? xSquare tubing allows balls to pancake the net, causing them to break at the seams quicker. 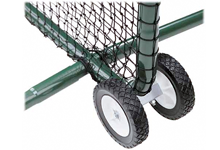 Our round tubing results in better deflection and longer net life-span. xOur 1-piece screens use aluminum which will NEVER rust. Our other screens are galvanized steel which is also highly weather-resistant. xSome styles are more portable than others.